Being the second largest city on the island of Crete, Chania is also the local government region (municipality) also bearing its name. The city is situated on the north coast of Crete with Rethymno on the west at a distance of 60 km (37m) followed by the city of Heraklion at 135 km (84m). The “Venice of the East” is how the city is referred as since it is divided into two parts: the larger modern part and the old town. The old harbour port surrounds the old town which is the basis of the development of the whole urban area and the modern city. 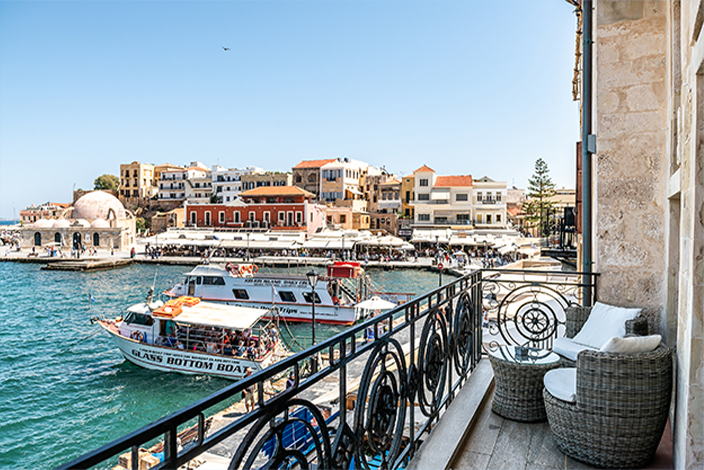 The old town of Chania is a well-preserved mix of Cretan, Ottoman, and Venetian architecture. Enjoy a romantic stroll through its labyrinth alleys, and imagine yourself in another world in a different period of time. Visit the Jewish district which the Jews created themselves after the conquest of Chania by the Turks in 1645. Out of the two synagogues the neighborhood used to possess, the ‘Etz Hayyim Synagogue’ is still there and open for visits. While wandering through the old town you will come across archeological excavations, showing you that Chania is built on top of the ancient city ‘Kydonia’ – the 3rd largest city founded by King Minos in Crete. Last but not least, the district ‘Splantzia’ is definitely worth a visit. With its impressive church Saint Nicolas in the center of the cute square and its numerous minarets, reminding you of the Turkish occupation. 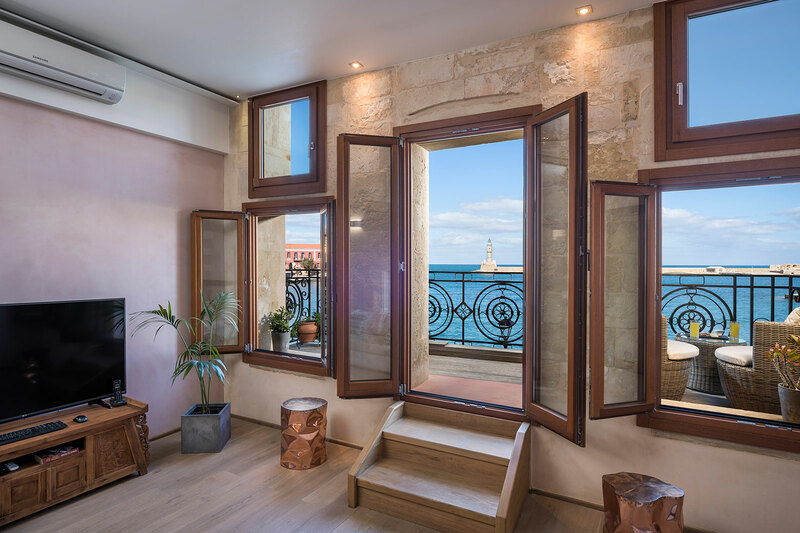 When entering the old Venetian port, the first thing that will attract your attention is the impressive Egyptian lighthouse across the crystal-clear water. Opposite to the lighthouse are the Maritime Museum and the ‘Firkas Fortress’, which walls were built by the Venetians to protect the harbor. Taking a stroll on the boulevard will take you a while since there are many beautiful buildings to see. Like the ‘Yali Mosque’ with its typical Turkish architecture, nowadays used for art exhibitions. The ‘Megalo Arsenali’, a two-story stone building where ships used to be constructed and repaired, now the center of Mediterranean Architecture. And the ‘Dockyards of Moro’, which host the Sailing Club of Chania and is the perfect spot for a morning or afternoon coffee.